Last edited by fpwong; 10-13-2016, 07:57 AM. This is Archery CardBoard VR game. Last edited by 22nd_Floor; 10-13-2016, 08:50 AM. Note: scrolling texture and menu title made in Photoshop. Tron like emissive materials made in UE4. Both player and enemy movements were scripted using vectors. Last edited by Bad_Request; 10-13-2016, 12:40 PM. S'mores Wars is Local Multiplayer only and most fun with 4 players! Grab a few controllers (I use xbox pads) and battle your rival S'mores to claim the ultimate victory; earning the right to be eaten! First to 100 points wins. Hold jump to go higher and kick on the way up for an extra vertical boost. Once you have a chocolate and mallow, you can grab a graham cracker for extra armor. You can drop down through logs while holding down and pressing jump. Spit while running for even more distance. can be played with a keyboard with 1 player (WASD for movement, arrow keys for actions), no fun though, seriously get your buddies in there with some controllers and slay each other! Have fun! Last edited by Deadsp1ke; 10-13-2016, 08:30 AM. Other than fonts, all content was scratch built by me in an empty project since Friday for this jam. Very incomplete, barely a game yet, but I figured I'd submit what I got done since I put the effort in. Play as Gaia and settle the score with humanity! Requires an HTC Vive to play. Draw symbols, grab natural disasters, and have fun! Requires 2 or more players both with Gamepads. Right trigger to grab and release it to throw. Last edited by Caiuse; 10-13-2016, 11:06 AM. 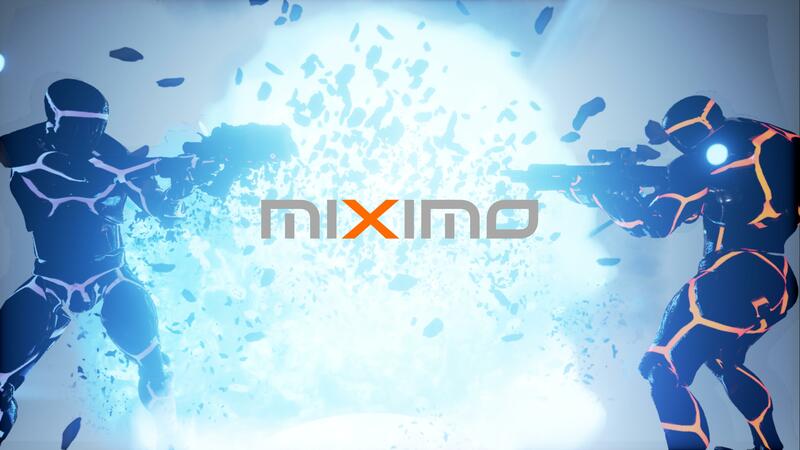 Game: ‘Miximo-Set the score’ is a special player vs computer Deathmatch game mode. For more info refer to the Rules option in-game. P.S. Please ignore the below statements if deemed unnecessary. I was working on my own project before the jam; Learning online and experimenting stuff; A third person cover shooter. It was still in its basic form not in publishable game state and full of bugs.I decided to use that as a base and develop a whole new playable and a fun game for this Jam. •	I worked full time for this jam period i.e day and night and added a bunch of lot new whole things such as the ability to differentiate between a single and double handed weapon and act accordingly. •	Added a totally new type of weapon system consisting of the conventional weapons as opposed to the original laser weapons; i.e the weapons had ammo and blast radius. •	Made the main menu more interactive and good looking. •	Added melee and reload/auto reload functionality. •	Added an entire new cover system consisting of high obstacles. •	Sound Effects using the stuff epic has provided. •	Fixed a hell lot of bugs. •	Made tweaks in ragdoll. •	And finally created an entirely new game mode ‘SET THE SCORE’ for this. I am a programmer, not an artist so I’m sorry if the aesthetics and the visually are not upto the mark. NOTE: All control schematics and Game rules/Objectives are mentioned in the game. Last edited by JulsIII; 10-13-2016, 12:35 PM. Basic Geometric shapes in UE starter content. Sounds and music were created by me but samples were taken from, and aggregated/synthesized within, free software (e.g. Fruity Loops). Use the mouse to strafe left and right. You are a being of pure energy. As you progress, your speed will gradually increase. The goal is to avoid the obstacles and attain the highest score possible by moving as quickly as you can. If you crash or believe that you are about to, hold the Right Mouse Button to rewind time so that you can settle the score. This can even be performed after colliding with objects. But, be careful, as firing your beam and rewinding time both require energy and will slow you down. If you collide with an object while your energy bar is at less than 100%, you will be destroyed. Good luck. NB: The game has 7 tested levels, but is virtually infinite. If you make it past level 8, you won, but you can continue to play to your heart's content. However, I can make no claims about the quality of gameplay at higher levels. One of my play-testers reported the mouse cursor escaping while using multiple monitors, however I was unable to replicate the issue. 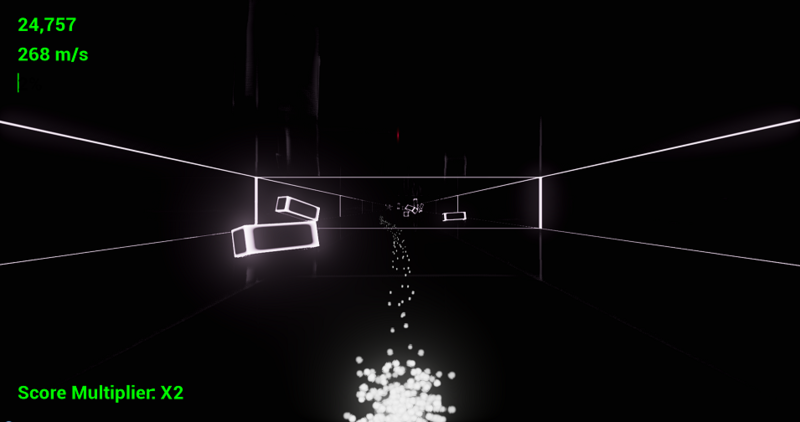 Particle effects associated with the player sometimes do not appear at the beginning of the game as intended. Last edited by Doctor_Borg; 10-13-2016, 02:43 PM. Last edited by JackCayman; 10-13-2016, 09:49 AM. Everything else was made for the jam. My Main menu and in game menu plugin. Commands are listed under "Settings -> Controls", a very short story is under "Play -> Story". Some Textures - Substance Painter 2 built-in textures. Not sure if this counts since I painted with the textures and modified them a little. Gameplay - All using blueprints, no template was used. All 3D models - Made with MODO Indie 10 and Blender. Had to switch to MODO when I couldn't figure out how to get rigging/retargetting to work in Blender. This wasted 2-3 days. Textures - Painted using Substance Painter 2. Sounds - Sounds were edited or created using Adobe Audition.